Gov. 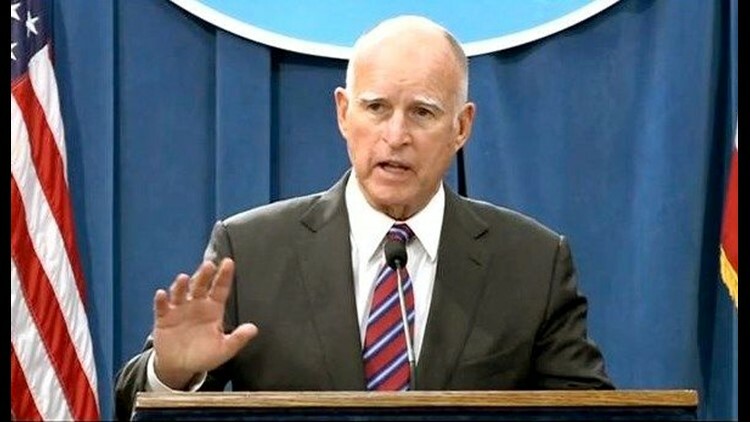 Jerry Brown on Friday pardoned 59 people who committed mostly minor crimes, including five convicted in San Diego County. SAN DIEGO (CNS) - Gov. Jerry Brown on Friday pardoned 59 people who committed mostly minor crimes, including five convicted in San Diego County. Pardons are often issued on or right before major religious holidays, such as Christmas and Good Friday. - Jimmy Wormell, who now lives in Colorado, and was sentenced on a burglary charge in 1981 for entering a high school campus after it was closed. According to the governor's office, those granted pardons all completed their sentences and the majority were convicted of nonviolent, drug-related crimes. Applicants for a pardon who were eligible obtained a certificate of rehabilitation, an order from a superior court declaring that a person convicted of a crime is now rehabilitated. A gubernatorial pardon may be granted to people who have demonstrated exemplary behavior and have lived productive and law-abiding lives post-conviction, the governor's office said. Regarding Belmonte, the governor's pardon said she works as an addiction treatment specialist and volunteers with women's groups. She obtained recommendations in favor of her pardon from the San Diego Superior Court, the Board of Parole Hearings and a majority of state Supreme Court justices.